This is the first half in the list of Barbie movies that have been released by Barbie Entertainment. The Barbie brand is a widely known and popular brand starting from the making of Barbie dolls. Little girls around the world know and love Barbie very much. These movies are everything girly and everything a Barbie fan can expect and more. 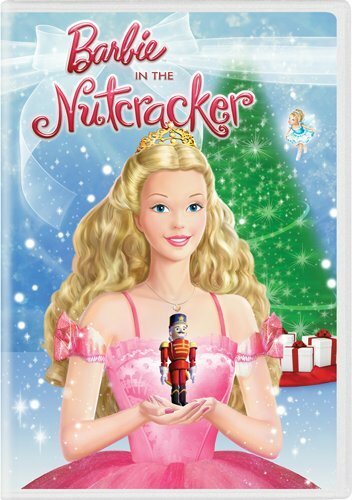 Credit: Barbie EntertainmentBarbie in The Nutcracker is a computer-animated movie that was released in 2001. This movie is an adaptation to E.T.A Hoffman’s story The Nutcracker and the Mouse King. In this movie, Barbie represents the character Clara who is given a really nice wooden Nutcracker as a gift from her favorite aunt. The very same night Clara was given this gift, the Nutcracker came to life in order to get rid of the Mouse King who invaded her space. Clara woke up and was helping the Nutcracker ward off the Mouse King but the Mouse King used an evil spell to shrink her down to their size. Throughout this story, Clara and the Nutcracker go on an adventure trying to find the Sugar Plum Princess who is the only one that can get rid of the spell cast on Clara. Credit: Barbie EntertainmentBarbie as Rapunzel is the second computer-animated movie to have ever been released. This movie came out in 2002 and it depicts the Brothers Grimm fairytale Rapunzel. The story is about a girl named Rapunzel who has beautiful and extremely long hair but lives isolated in a forbidden forest guarded by a huge dragon named Hugo. This forbidden forest is surrounded by an enchanted glass wall and Rapunzel is a servant to a jealous scheming witch named Gothel. Rapunzel soon discovers a magic paintbrush that takes her on journey to reveal a lot of things. With the help of Penelope the dragon, you will witness Rapunzel succeed in this movie and fall in love with handsome Prince Stefan. Credit: Barbie EntertainmentBarbie of Swan Lake, released in 2003, is the third computer-animated film to have been made. This movie is a loose adaptation to the Swan Lake ballet and it features original music by Pyotr Ilyich Tchaikovsky and Cris Velasco. The movie is about a girl named Odette who finds herself following a unicorn into an enchanted forest. Within this forest she finds a magic crystal that reveals her destiny to her. Her destiny is to be a savior to this enchanted forest but at first Odette doesn’t want to commit to this responsibility because of her insecurities. As Odette tries to leave the forest, the evil wizard Rothbart turns her into a swan. Odette then vows to defeat the evil Rothbart and further along this story she falls in love with Prince Daniel. In the end, Odette does defeat Rothbart. Credit: Barbie EntertainmentBarbie as the Princess and the Pauper is the fourth computer-animated movie to have been released. This movie that was released in 2004 is based on Mark Twain’s The Prince and the Pauper. 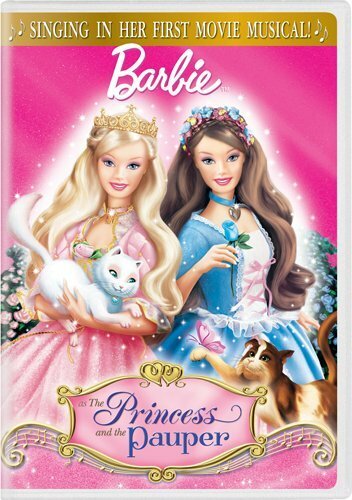 This Barbie movie is an animated musical and the story is based around Princess Anneliese and a pauper named Erika. They are two different girls who look alike and when the princess is kidnapped by the evil Preminger, Erika has to pretend to be the princess until they get her back. In the midst of all of this happening, King Dominick falls in love with Erika who he thinks is Princess Anneliese. This is definitely a problem for the girls. Barbie as the Princess and the Pauper is a great twist to the original story by Mark Twain. Credit: Barbie EntertainmentBarbie Fairytopia is the fifth computer-animated movie and is the first Barbie movie to have an original storyline. 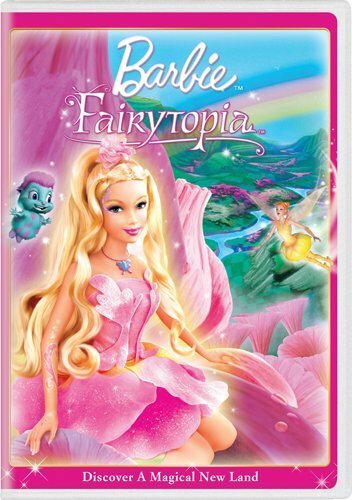 Barbie Fairytopia is the first of the Fairytopia series and was released in 2005. Barbie plays the character Elina who is a beautiful flower fairy without wings. She lives in a magic meadow with her friend Bibble, but then finds herself having to save the land of Fairytopia from the evil fairy named Laverna. Throughout this movie you’ll see Elina develop courage and as she looks for Azura the Guardian Fairy who she believes can solve the problem in Fairytopia. This is a movie that showcases a magical land of fairies, enchanting experiences and will be loved by girls and Barbie fans everywhere. 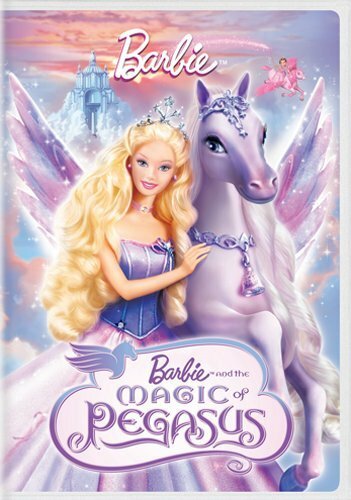 Credit: Barbie EntertainmentBarbie and the Magic of Pegasus is the sixth computer-animated film and the first 3D Barbie movie released. Just like Barbie Fairytopia, this movie has its own original storyline. 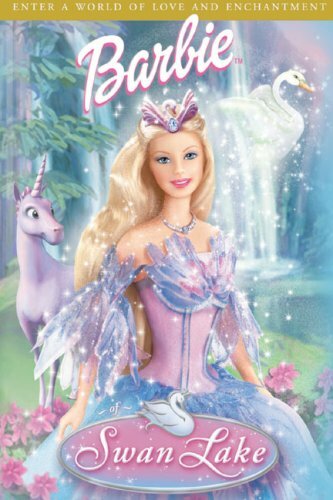 Released in 2005, Barbie and the Magic of Pegasus is a story that follows Princess Annika who is trying to break the spell from an evil wizard named Wenlock. This evil wizard turned Princess Annika’s family into stone and the princess only has three days to break the spell. On her journey, she is befriended by a magnificent winged horse named Brietta who flies her to cloud kingdom and accompanies her throughout the story. Together they travel through forbidden forests, icy caverns, fly above clouds and meet new friends along the way. Credit: Barbie EntertainmentThe Barbie Diaries is a motion capture film that was released in 2006. This is a modern-day film that follows Barbie in her sophomore year at high school. Barbie is a teenager, who loves to hang out with her friends, is the guitarist in her band, works at the school TV station, and has a major crush on the most popular boy at school who doesn’t know her yet. In this movie she gains the confidence to reach for her dreams, encounter love, encounter magic and experience true friendship. The Barbie Diaries is a fun movie for pre-teens to watch. Credit: Barbie EntertainmentBarbie Fairytopia: Mermaidia is the seventh computer-animated film and the second movie in the Barbie Fairytopia series. Elina the fairy and Nori the mermaid attempt to rescue the merman Prince Nalu who has been kidnapped and is in the clutches of the evil Laverna. Before being kidnapped, Prince Nalu was attempting to learn where he could find a special berry that could unfortunately make Laverna the most powerful fairy in Fairytopia. Laverna would become even more powerful than the Enchantress and Elina doesn’t want that to happen. Elina could end up sacrificing her wings in an attempt to save Prince Nalu. This story will bring you on a journey to see what happens to Fairytopia. 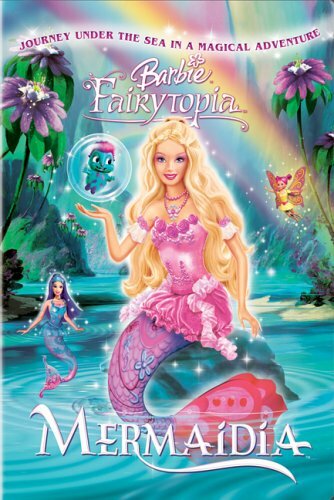 Barbie Fairytopia: Mermaidia is very popular and has sold way more than 1 million copies since its release in 2006.
Credit: Barbie EntertainmentBarbie in the 12 Dancing Princesses is the ninth computer-animated Barbie film, and was released in 2006. 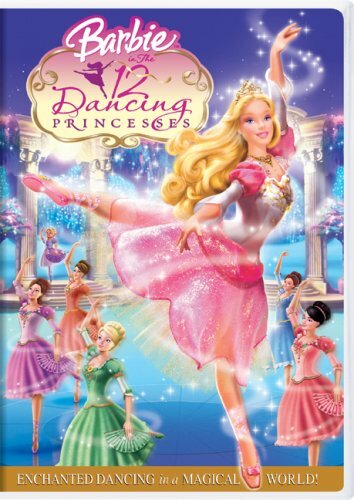 This movie is loosely based on the Brothers Grimm’s fairy tale, 12 Dancing Princesses. Princess Genevieve and her eleven sisters all love to dance. In this story these beautiful princesses discover a secret entrance that brings them to a place where their dreams come true. In this movie, the princesses also have to deal with the danger their father has in possibly losing his kingdom, so the girls work together to save it. This is a great film centered on family and an enchanting adventure. Credit: Barbie EntertainmentBarbie Fairytopia: Magic of the Rainbow is the third film released for the Barbie Fairytopia series. Elina the fairy travels to a fairy school with her pal Bibble. This fairy school is the magnificent Crystal Palace and this is where she meets the other fairy apprentices. Together they are chosen to learn the annual Flight of Spring where they have to create the first rainbow of the season. The evil fairy Laverna then threatens 10 cold years of bitter winter in an attempt to stop these fairies from doing the Flight of Spring. In this movie you’ll see if Elina and the fairies are able to defeat Laverna together and bring the rainbow to life in this spring season. 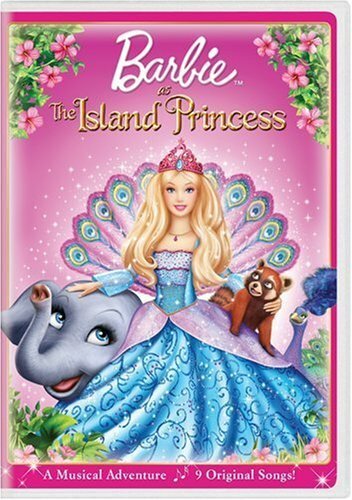 Credit: Barbie EntertainmentBarbie as The Island Princess is the eleventh computer-animated film and the second musical created. This film that was released in 2007 is about a girl named Rosella who was shipwrecked on an island as a little girl and grew up as the only human being living among a loving family of animals. Her friends among the animals were Tika the baby elephant, Azul the peacock and Sagi the red panda. Rosella is then found by Prince Antonio in their tropical paradise, and he takes Rosella to his castle so that she and her animal friends can explore civilization. In this story you’ll see that there’s an evil plot to take over the kingdom but Rosella will show you that miracles are close when love guides you. Credit: Barbie EntertainmentBarbie Mariposa is a computer-animated film released in 2008, and the last of the Barbie Fairytopia series. Though this movie is a part of the series, it’s not a sequel to the previous ones. Mariposa is a butterfly fairy that lives in a place called Flutterfield. Flutterfield is a beautiful place protected by the Queen’s magical lights. In this story, the Queen gets poisoned by the evil fairy Henna and each one of these glimmering lights that protect Flutterfield begins to go out one by one. It’s now up to Mariposa and her friends to go beyond the safe borders of Flutterfield in order to find the right antidote that will save the Queen. Barbie Mariposa is an exciting adventure many girls will love to watch. Credit: Barbie EntertainmentBarbie & The Diamond Castle is the thirteenth computer-animated Barbie film and the third musical released. This movie that came out in 2008 is about Barbie and her friend Teresa telling a fairy tale about two girls named Liana and Alexa. In this movie, Barbie and Teresa play Liana and Alexa. The two girls in the fairy tale live simple lives until they are given an enchanted mirror with a girl trapped inside. Liana and Alexa become friends with the girl and decide to save her. Liana and Alexa go on a dangerous journey to The Diamond Castle and are accompanied by two cute little puppies as they face challenges. 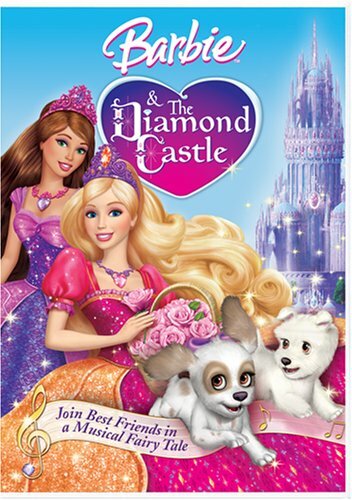 This story has an underlying message about the importance of friendship and in this list of Barbie movies, Barbie & The Diamond Castle is a great film for little girls and Barbie fans as well. Credit: Barbie EntertainmentIn this list of Barbie movies, Barbie in A Christmas Carol is the fourteenth computer-animated film and was released in 2008. This film is the first Barbie Christmas movie and is a favorite family film that can be watched every year. This movie is about Eden Starling who is a glamorous singing diva in a Victorian London theatre. Eden and her snooty cat hate Christmas and plan to make all of her fellow theatre performers rehearse on Christmas day instead of spending it with their loved ones and friends. That night Eden is taken on a journey with three very unusual visitors who will open her heart to the Christmas spirit. 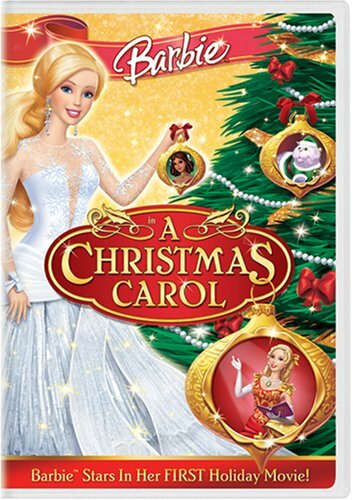 In this list of Barbie movies, Barbie in A Christmas Carol is a great movie the family will enjoy.